Fantastic News for Japan this morning with Tokyo winning the rights to host the 2020 Olympic Games. 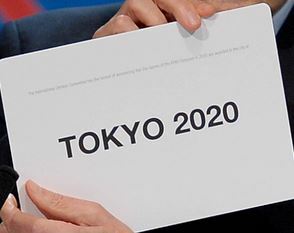 Members of the International Olympic Committee (IOC) meeting in Buenos Aires chose the Japanese capital, which previously hosted the Games in 1964, over Istanbul, after Madrid was dramatically eliminated following a first-round tie with the Turkish city. “I have waited so many years to experience this joy. It is an honor to be picked as the host city”. Crowds gathering in Tokyo broke out into wild cheers when the announcement was made. Japan’s Prime Minister Shinzo Abe had earlier flown in to the Argentine capital from the G20 summit in St Petersburg, Russia. Prime Minister Abe said in his presentation that the Olympics were part of his DNA, having experienced them for the first time at a young age. “I was at the opening ceremony in Tokyo in 1964 and saw several thousand doves all released into the clear blue sky and coming together to make the Olympic rings,” he said. “It was all amazing to me at 10 years old”. The decision means it will be the fourth time that Japan plays host to the Olympics, having held the winter Games in Nagano (1998) and Sapporo (1972). The 2020 Tokyo Games will take place from July 24 to August 9. This entry was posted in Japan and tagged 2020 olympic games, 2020 Tokyo, Tokyo 2020 olmpics, Tokyo olympics. Bookmark the permalink.